Momma’s dogs need new bones! This blog contains affiliate links, so we can earn a small amount of money linking to products we have tried and tested, while you pay nothing extra! Enrichment for our dogs is the hot topic of the day! Blogs, workshops, seminars, and FB groups all devoted to this topic. But what about puppies? Can puppies benefit to? One of the best benefits of a puppy pacifier, one tuckered out puppy! As I do more and more with my crate conditioning protocol I have been using more and more pacifiers. Pacifiers are things we give dogs designed to amuse them for long periods of time like chews, lick mats, and Kongs. There’s many, many more then just those types, and I have experimented extensively with all different kinds. I have been really interested to see some really beneficial “side effects” of the use of pacifiers in my puppies. Getting along better with littermates. Learning more quickly and with less frustration. Seeming more “thoughtful” with their actions. This is undoubtedly due to the “Enrichment Effect” discussed at length in the puppy raising protocol Puppy Culture. As breeders, we know that an enriched environment is beneficial for our puppies physical and behavioral health. Puppies raised in enriched environments have bigger brains, learn faster, and have better behavior as adults. I think the pacifier is a hybrid between Passive Enrichment opportunities (things like tunnels, and adventure cubes) and Active Enrichment (activities that involve learning, like clicker training.) Puppies are DOING something and learning something, but unlike clicker training the activity is completely self driven. 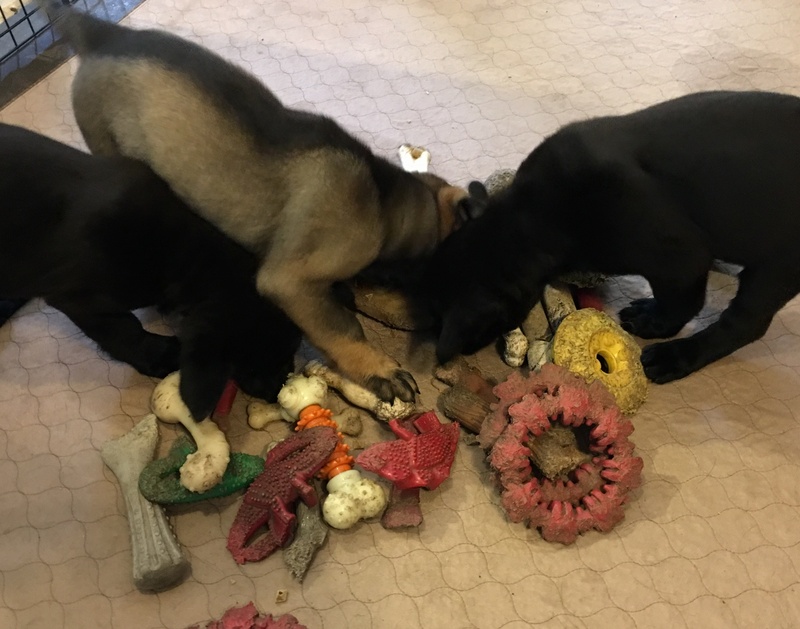 Passive Enrichment is great, Active Enrichment is the “gold standard” for puppy raising, and I think pacifiers fall somewhere in the middle. They are just another tool to add to our toolbox as we seek to raise the best puppies possible, and make the most of their inherited traits. But if that wasn’t enough, there are huge benefits to your new puppy families too – but more about that at the end. Here are my 10 tips for success with pacifiers. 1. Start Easy! Baby puppies learn fast, but there are limits to their motor and cognitive abilities. 2. Ensure Success! Make sure the food is easy to access. 3. Present one skill challenge at a time. Pick one skill: lick food out, sniff food out, push food out, move a thing to find food, tear something open to find food, sniff to find food, roll to find food, or remove food. 4. Use palatable easy to digest foods and mix up flavors. 5. Choose materials carefully. Avoid things that could trap body parts, fracture teeth, abraid skin, or become ingestion risks. 6. Choose materials thoughtfully. Select things that are interesting or are novel to puppies. 7. Observe your puppies for success with any item. 8. Adjust. If you observe your puppies don’t engage or give up on a challenge, next time make it much easier. 9. Adjust. If you observe your puppies have immediate success, next time make it slightly more difficult. 10. Keep Records. 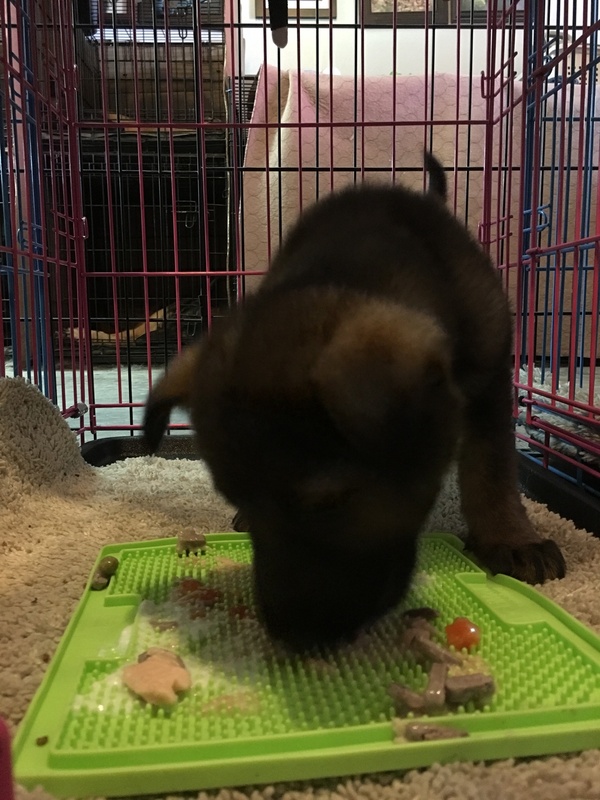 Keep track of your puppies favorites and preferences, so you can share what works for a puppy with it’s new family. 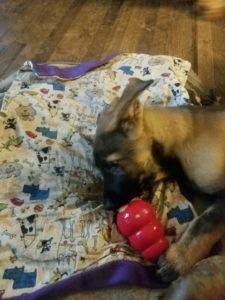 Here is my current list of items that work for my puppies. I often use these for crate training, but also when my puppies are getting quarrelsome, frantic, or having trouble calming down. I have both Group and Individual activities. I would love to know what you use for your puppies, please share in the comments! Toy Pile Scramble: Talk about cheap and easy! On a rainy day I tossed some treats down, and piled all the Nylabones on top, took the puppies 10 minutes to snuffle through and find them all. Kong Quest Forager: This dude was great! I put small soft treats in the holes and ends, all the puppy needs to do it bump it and the treats roll out easily. NOT durable enough for older puppies. Lick Mats: I started with these lick mats around 4 weeks. I put puppy purée, goats milk, and canned food on them. The puppies did OK with these, I think I’ll try to find an easier one next litter. But they still LOVED these, especially with yogurt or goat milk. I used the lick mats almost entirely in the crates. The puppies LOVED them, and I got better with using different foods to vary how difficult they were. Lick Mat in a Crate! I used lick mats with older puppies as well! I graduate to freezing the mat to make it more challenging for older puppies. I do phase out the use of the lick mats once they show interest in chewing them up, or clean them up too quickly. 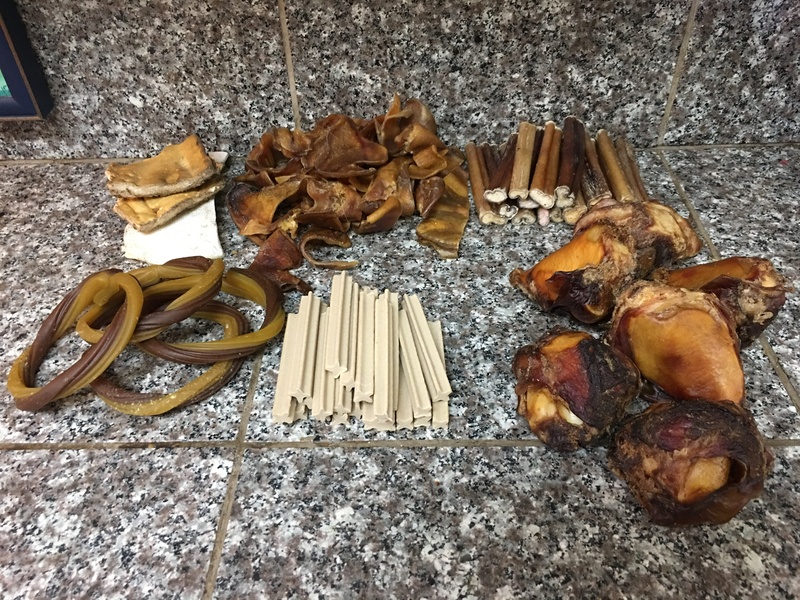 From L to R. Cow hoof, Trachea, Shank Bone, Alligator Whimzee. Chews: These are edible treats that take a long time to consume, or only parts are consumed. I’ve use smoked patella bones, dental chews, small bully sticks, pork cheeks, and raw hides. You’ll have to experiment to see what works for your puppies! 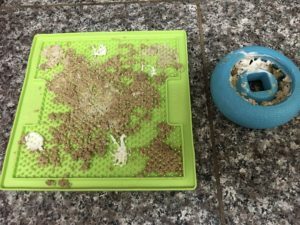 Kibble Nibble: These are fairly hard for young puppies and it helps if you have a nanny dog who can teach the puppies how to shove it around. But once they get the hang of it, they are great! 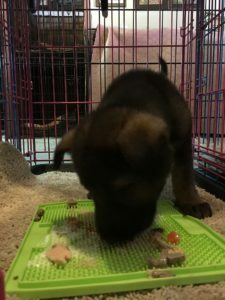 I will often put a Kibble Nibble in at night from week 7 to 8, because the puppies can get hungry in the night and I never leave “free” food out, this is a great way to leave a snack option for them, but one that requires a bit of thought to access. Pacifiers are a GREAT management tool to make your work as a breeder easier and more effective! Here are the most common ways that pacifiers make my work easier. To teach puppies it’s great to run back into the weaning pen after an outing. 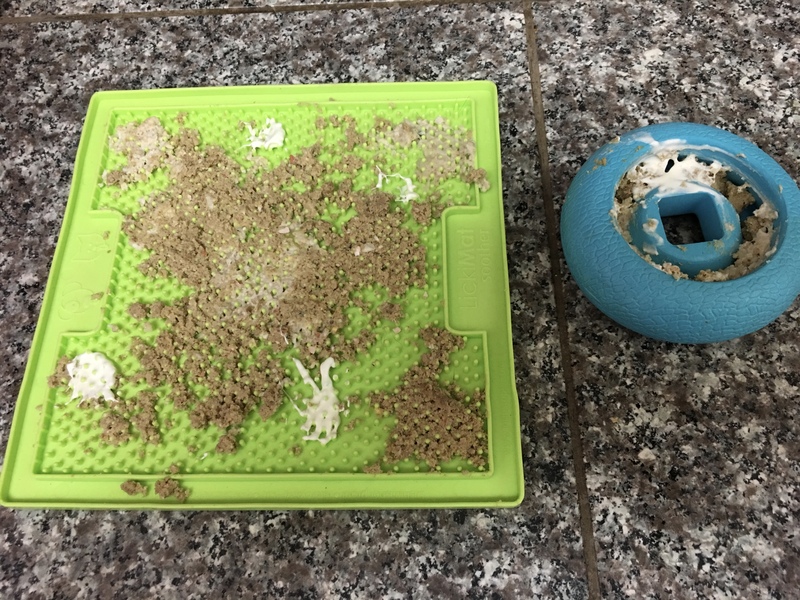 I “seed” the weaning pen with a pacifier (like a snuffle mat) after I take the puppies out. Once they figure out the snuffle mat is always waiting for them, they are happy to run back inside the pen when I open the door. To soothe puppies during the “witching hour” when they are bickering and frantic. To prevent puppies from learning to scream and bark at movement outside the pen. I plop a pacifier like a few Kong Foragers in when I know I’m going to be moving around outside the pen. A snack before bed. During weeks 4-8 I put down a snuffle mat to soothe puppies as we go to bed. Rainy, cold, or blistering hot days. When walks and noodles outside are short and puppies get bored. Falcon in his new home. Because he learned to use a variety of pacifiers when here, he was “primed” and ready to use pacifiers in his new home. This makes raising him much easier on his mom! I can’t even begin to tell you how introducing your puppies to pacifiers early, while they are in the care of the breeder or foster, will help your new families. Raising a puppy is hard work! 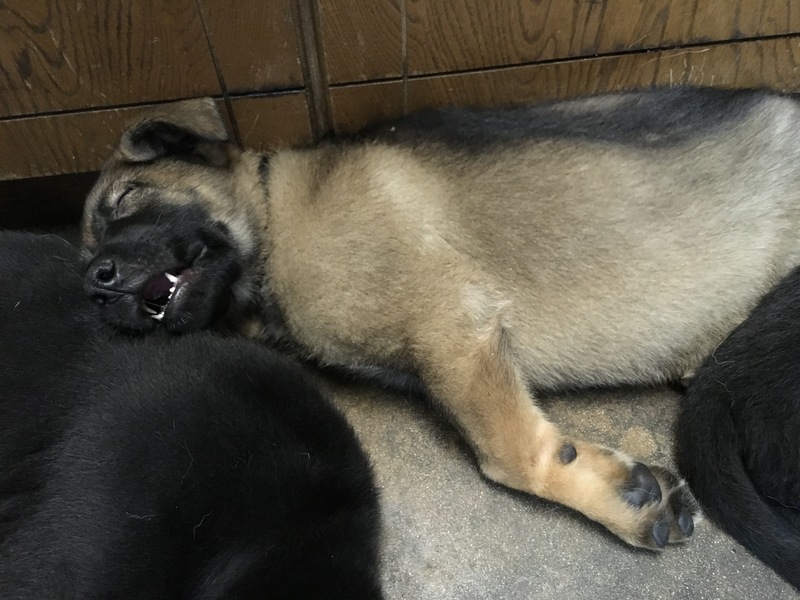 Puppies are chew machines and almost every new owner struggles with the same normal puppy issues: chewing on things, mouthing humans, ‘getting into stuff’, and pestering humans or older dogs. 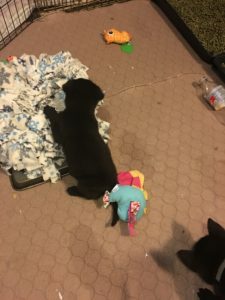 These are all normal behaviors, and pacifiers are amazing effective ways to allow puppies to develop normally, while also fostering habits the owners LOVE. 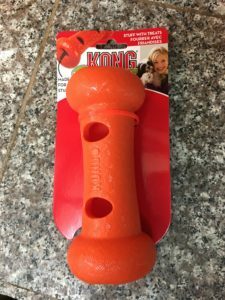 This helps ensure the puppy has GOOD interactions with people and not a bunch of “no puppy” “bad puppy” type interactions, it builds good recreational chewing habits, and it gives puppies a natural outlet for their chewing and foraging needs. Keep a list, much like this one, of the types of pacifiers you have taught the puppies to use. 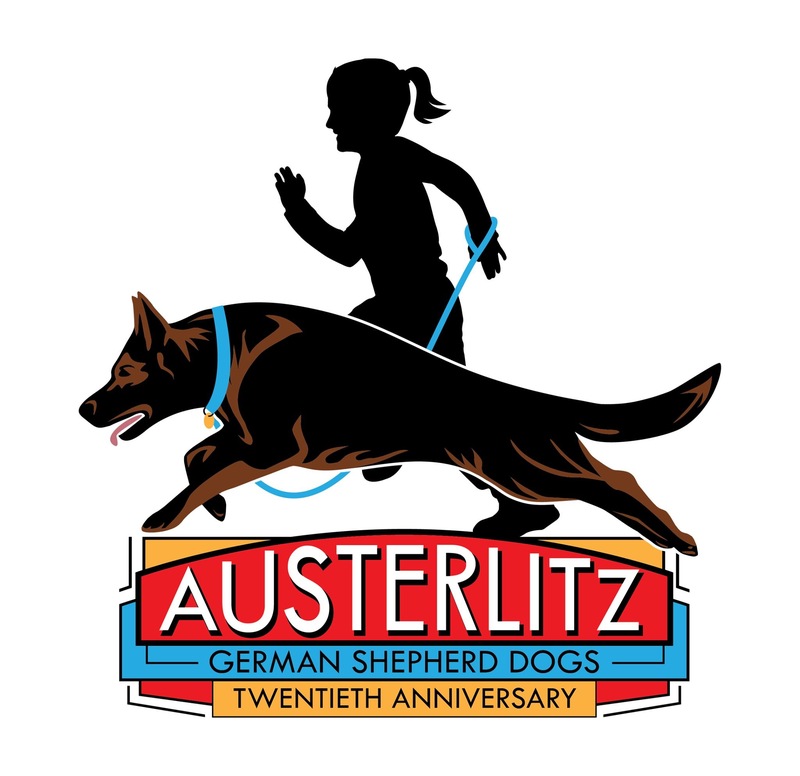 Provide it to each new puppy family so they can learn the value of pacifiers, how to teach puppies to use them, and when to provide them for the most benefit. And BOOM, your puppy and it’s new owner are now set up for success and a happy life together!